The Spokesman-Review just published a bite-sized overview of the Community Assembly’s accomplishments over the past year and its goals for 2014. It’s a good chance to see what these volunteer representatives have been doing for their respective neighborhoods when it comes to public safety, land use, pedestrian and traffic improvements, and raising neighborhood awareness. 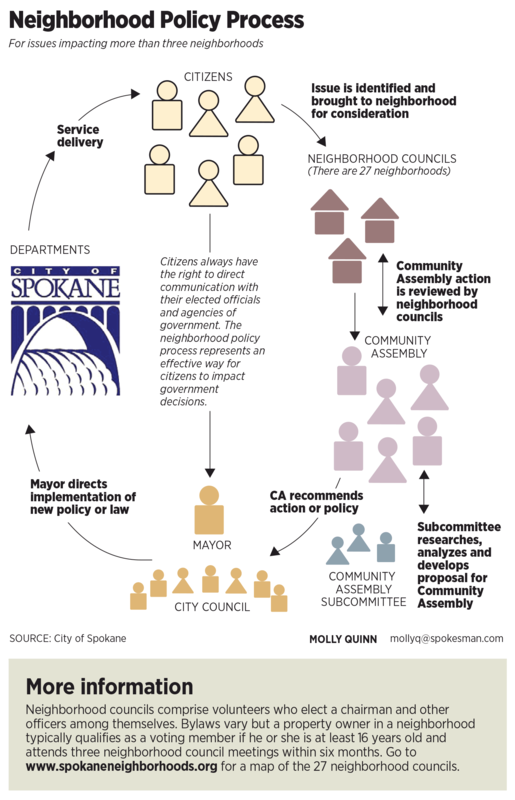 The story also features a graphic that illustrates how the Community Assembly/neighborhood council process works alongside direct citizen engagement to ensure that our individual voices are heard with collective force at the city level. For handy reference, we’ve included it below.